Each Exchange Handle holds one Lifeline USA Resistance Cable. 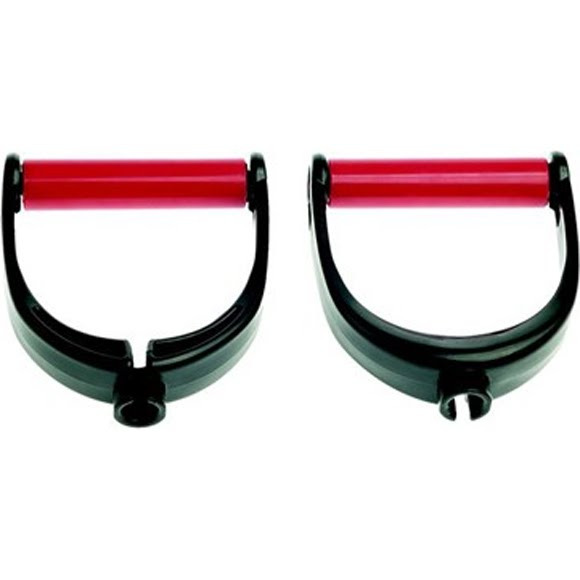 These handles allow quick cable replacements with their patented design. These ergonomic handles provide for proper cable alignment. Resistance tube training provides more dynamic functional movement patterns in a range of different angles, which increases muscle activation and diversity of exercises. Package includes a pair of handles. Lifeline&apos;s patented cable pockets are designed to fit snuggly with cable plugs to allow you to use different cables with the same handle!